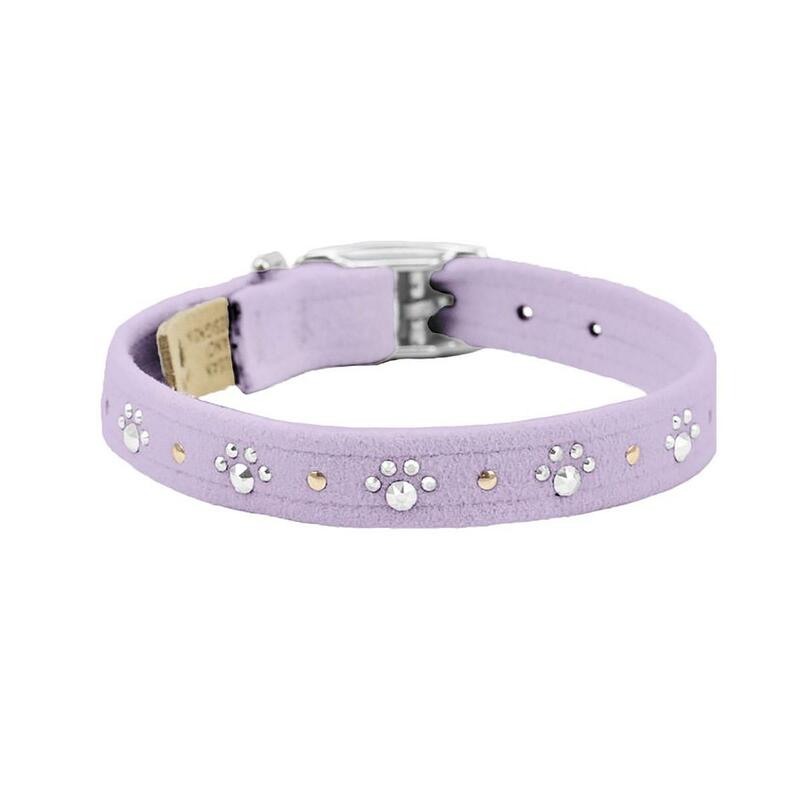 Soft with a subtle design, your pup will shine in our Crystal Paws Dog Collar by Susan Lanci in Tiffi Blue. 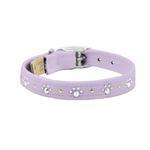 The Crystal Paws Dog Collar is soft and sweet with a sprinkling of Swarovski crystals and golden studs. Comfortable for your pup and easy for you to maintain. Like all of our Susan Lanci designs, this 1/2 inch collar is made from genuine commercial upholstery grade Ultrasuede® fabric that is imported from Japan. This soft, comfortable fabric is breathable, washable and colorfast. This collar is manufactured in the USA. We recommend the dog should always be walked with a harness. Our collars are designed for ID tags, charms and for decoration. They are not designed for pulling dogs. Baxterboo is a great shopping site for your furry family members. They have a huge selection. Prices are a bit high but the quality is amazing and lasts.